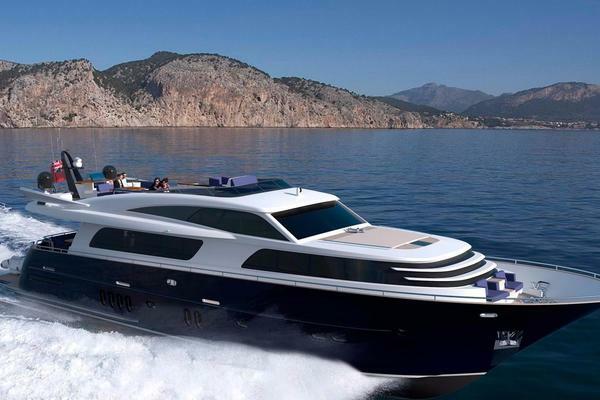 AVA-L is a classically styled flush deck Burger built in 1999 for an experienced owner. She has an exquisite American Cherry Wood interior and is also one of the quietest running Burgers ever built.A Fresh coat of varnish to her cap-rails and doors. All her teak decks were re-chaulked and some teak decking replaced. 2018 Works: New bottom paint & zincs, complete compound & wax, props cleaned, balanced & prop speed, both main engines and generators serviced. United Yacht Sales New Jersey would love to guide you through a personal showing of this 103' Burger 1999. 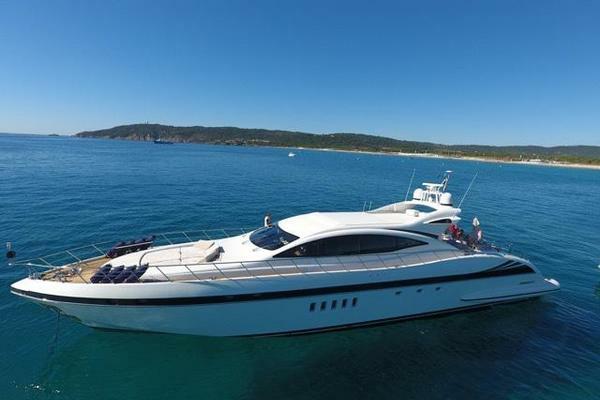 This yacht for sale is located in Miami, Florida and priced at $2,495,000. For a showing please contact us by filling out the form on this page and we will get back to you shortly! Sleeps six persons in three double staterooms, with his and hers heads in the master stateroom and ensuite heads in both guest staterooms. There are two double crew staterooms and a crew lounge forward with two separate heads and showers. The interior is finished in exquisitely crafted, raised panel, American cherry wood cabinetry, including carved cherry crown moldings and match sequenced veneers on all bulkheads. There is a light stain on the cherry woodwork which is then sealed with a satin finish and accented with a palette of richly colored fabrics and elegant fixtures throughout.